Twelve years ago I saw my first seal hunt video - young seals, clubs and blood. It was too much for my soft heart. I avoided ever looking at that kind of graphic footage again. Five years later, I was reintroduced while taking inventory of the film and video archives of the International Fund for Animal Welfare in London and discovered a treasure trove. 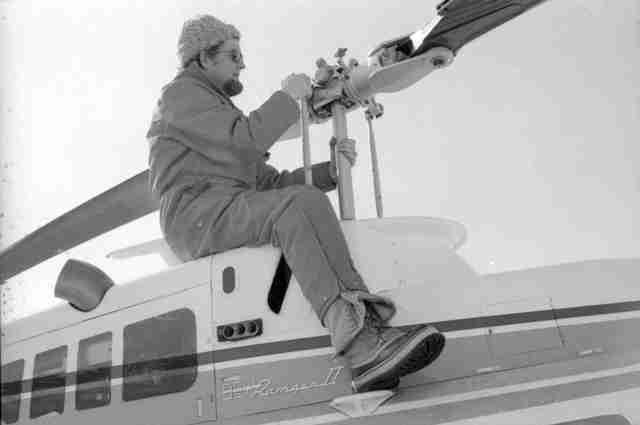 I eventually uncovered a seal documentary and was captivated by IFAW founder Brian Davies -his courage and tenacity, flying helicopters, sporting aviator glasses, diving under frozen ice and fighting the political system - all to save the baby seals. Looking deeper there was even more - death threats, spy tactics, knife attacks and destroyed helicopters. His story, IFAW's founding story, the story of the birth of the modern animal welfare movement was amazing and I knew that we needed to make a feature film. First we hired Richard Moos my fellow producer and then Brant Backlund as Director and then David Kennedy as Editor. After six years of research, negotiation, travel, filming and persistence - our vision came to fruition. I was the primary producer and the production manager so my job was to keep track of the storyline, arrange interviews, sort logistics, ask the questions and try to keep things on time and on budget. It took many twists and turns along the way and was almost killed off several times, but I never gave up. Because of this my producing partners call me the Mother of "Huntwatch." People like Sheryl Fink in the photo above inspired me to stick with it. Tough as nails, she is the modern day Davies bravely monitoring and documenting the hunt from helicopters and ice pans, careful to not interfere. You can't help but notice that this petite, young blonde is a bit like David versus Goliath. During our interview she said, "What are we going to do? They've got guns and hakapiks (clubs). We've got ... video cameras." The irony here is that in her free time, Sheryl is a serious body builder. Speaking of fit, last year we engaged with Canadian actor Ryan Reynolds to become the narrator and finally finished our project. 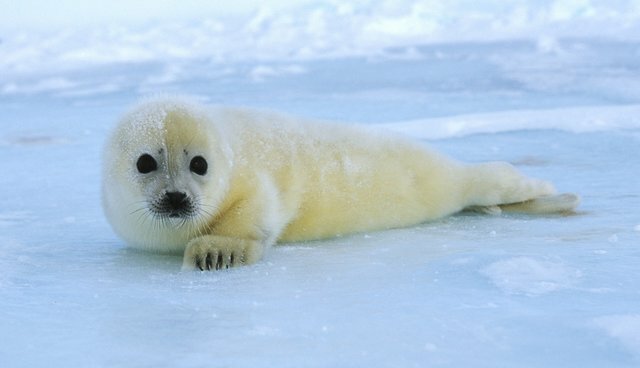 The resulting 90 minute film uncovers the 50 year battle over baby seals between activists, fishermen and politicians. 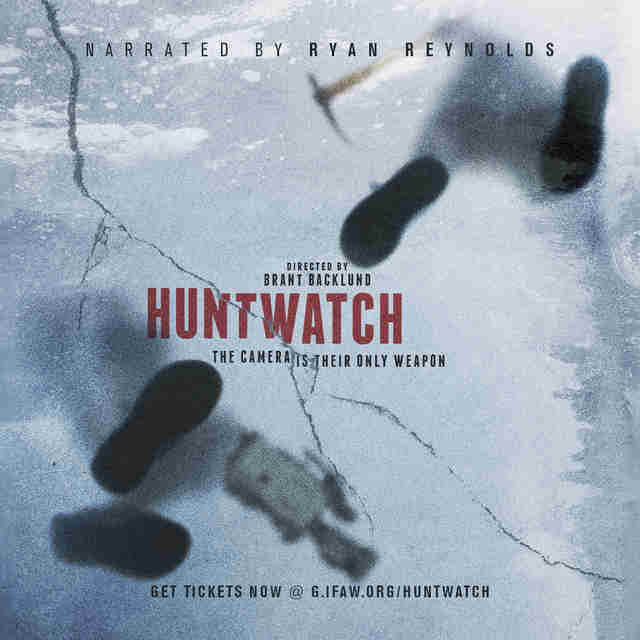 "Huntwatch" is ready to go and is making its world premiere at DOC NYC this month. If you're free on Saturday, Nov. 14,, come on out to the movies. It will be at the School of Visual Arts Theatre in Manhattan from 4:30 to 6:00p.m. Get tickets here - I would love to see you there! Not in NY? Check us out on social: Facebook, Twitter and Instagram.